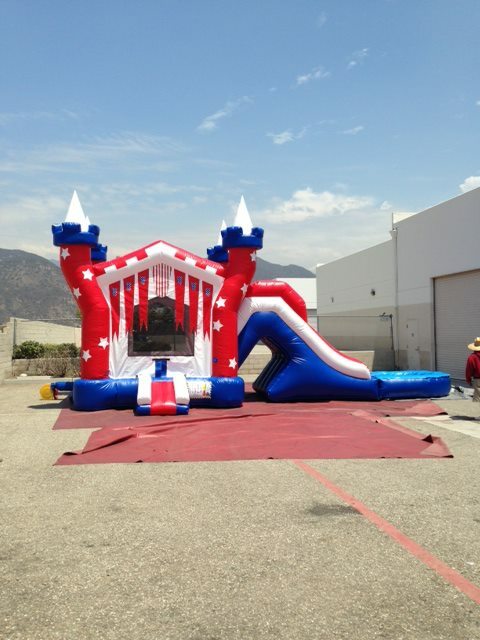 This is a great Inflatable for those that want to bounce and have a slide! Jump inside the Castle where there is also a small basketball hoop, then climb the ladder and slide down the slide! This piece does NOT have a pool at the end. It has a stopper piece!